As the winters are long and the summers short in the UK, it’s good to be able to enjoy your garden for more of the year, for instance all year round. The best way to do this is to install a brand new, low-maintenance, attractive UPVC Conservatory onto your house and you get to enjoy your garden more. There are a variety of designs, shapes and sizes for you to choose from and at Cladfit we can build a UPVC Conservatory that’s just right for you. Not only does a UPVC conservatory allow you to enjoy those sunny winter days and to get the benefit of your garden for more of the year, it also creates an extension of the internal space in your house. It might be that you gain a lovely dining area or extra seating space off your lounge, a sun room or a playroom for children, as well as a better view of your garden. It’s also a great selling point and adds value to your home, so it’s a good investment. Cladfit can build several different types and styles of UPVC conservatories, from traditional styles, such as Victorian or Edwardian to more modern designs, it’s entirely up to you. We can also build your UPVC conservatory with toughened glass and a locking system if you’re concerned about security. 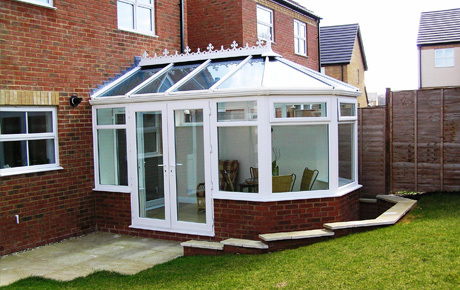 We have a highly trained team of conservatory specialists who can give you exactly what you require at a competitive price. This is a square conservatory, which is ideal for smaller properties or bungalows. This type of conservatory is lower to the ground and is common in the Mediterranean. This is also a common type of conservatory, and has a rounded head, which enables you to enjoy the sun from every angle. For homes with distinction and for those looking for a more traditional conservatory, a Georgian Conservatory is an impressive and attractive addition to any property and these come in a range of beautiful and elaborate designs. These conservatories are generally circular in shape and come with either three or five sections, whichever you select, a Victorian conservatory makes a stunning addition to more traditional homes. Please contact our conservatory team at Cladfit for advice on the best type of conservatory to match and enhance your home. If you would like us to call you for a no obligation chat then please send us your details using the form below or give us a call on 0800 33 454 33. Yes I consent to Cladfit collecting my name, email address and telephone number. 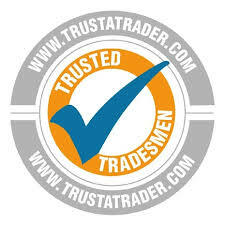 For further information on Cladding, Weatherboarding, Replacement Windows and Doors, Guttering, Soffits and Fascias, Flat Roofing or Conservatories.